Senate voting on Keystone today! BREAKING: The Senate is voting on the Keystone XL pipeline today. Will you take a minute to call your senators and urge them to vote NO on Keystone? You can reach your senators via the congressional switchboard at (202) 224-3121. Or you can find your senators’ direct lines here. If built, Keystone will accelerate global warming, adding 27.4 million metric tons of carbon pollution to our atmosphere per year. The president plans to veto the bill, but to make his veto stand up, we need to win at least 34 votes in the Senate. That’s why your call right now is critical. If we make our voices heard today, we can help stop Keystone once and for all. Thanks for making it possible. P.S. If you’ve already made the call, thank you. Please encourage your family and friends to do the same by forwarding this message. Every call counts. The practice of Medicine Buddha, the Supreme Healer (or Sangay Menla in Tibetan) is not only a very powerful method for healing and increasing healing powers both for oneself and others, but also for overcoming the inner sickness of attachment, hatred, and ignorance, thus to meditate on the Medicine Buddha can help decrease physical and mental illness and suffering. 1. To illuminate countless realms with his radiance, enabling anyone to become a Buddha just like him. 2. To awaken the minds of sentient beings through his light of lapis lazuli. 3. To provide the sentient beings with whatever material needs they require. 4. To correct heretical views and inspire beings toward the path of the Bodhisattva. 5. To help beings follow the Moral Precepts, even if they failed before. 6. To heal beings born with deformities, illness or other physical sufferings. 7. To help relieve the destitute and the sick. 8. To help women who wish to be reborn as men achieve their desired rebirth. 9. To help heal mental afflictions and delusions. 10. To help the oppressed be free from suffering. 11. To relieve those who suffer from terrible hunger and thirst. 12. To help clothe those who are destitute and suffering from cold and mosquitoes. Note: Following is a fascinating interview with Dr. Mitchell Gaynor, a leading oncologist who has pioneered new strategies for the treatment and prevention of cancer. Dr. Gaynor, author of the book “The Healing Power of Sound”, actively uses sound in his integrative oncology practice. This interview was reprinted with permission from Mr. Bill Thompson. It should be noted here that singing bowls are horizontal gongs. More information about sound healing can be found here. 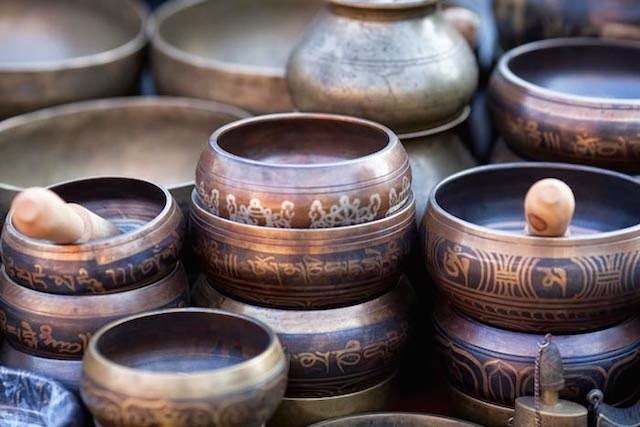 NT: How did you discover Tibetan “singing” bowls and their usefulness in healing? Gaynor: Well, I took care of a Tibetan monk in 1991. I’m a cancer specialist and also a hematologist and I had been working with guided imagery and meditation with my patients since the mid-1980’s. I was actually asked to see this Tibetan monk at Cornell Medical Center for a routine medical problem which was anemia. But he was suffering from a very severe disease that was destroying his heart muscle called cardiomyopathy. I talked with him about what we could do for his anemia and what diagnostic work-up we’d do. I always talk with my patients on an in-depth level about what’s going on in their lives and I noticed a tremendous sense of sadness and resignation in his eyes. So I asked him to tell me about his life and he recalled a time when he was 3-years old and was living as a Tibetan refugee in India. His parents were very poor and could no longer afford to feed him and his brother, so they had to take them to an orphanage run by Tibetan Buddhist monks. He recalled watching his parents walk away; he reached out through the fence and was asking them not to leave and you could really feel his sense of anguish. I didn’t think it was any coincidence that on an emotional level he had a broken heart and on a physical level he was suffering, literally, from a broken heart. He left the hospital about 2 weeks later and he gave me as a gift a metal Tibetan singing bowl. I had never heard one before. I didn’t even know they existed. But I was taken with the tones and the over-tones and I could literally feel them going through every cell in my body. I could not only hear it with my ears, but I felt it through-out my body. So, I figured that would be an excellent thing for patients who were dealing with serious illnesses. I started working with the bowls with my patients and the results were phenomenal. People who were dealing with a lot of fear and a lot of worry were able to go into their own inner harmony. That’s something all of us have, but most of us don’t know exists. That’s a harmony deep inside of us that when we learn to live from that and create from that…everything in our life begins to transform. I’ve seen it work with marital problems, job related stress or illness. Everything begins to look completely different. Sound effects us in so many ways. Sound effects us on a physiological level. The scientist in me wanted to understand how people were having such miraculous turnarounds in their whole perspective about life! People who were living in fear every day were suddenly able to really live in the moment. That’s when I started looking into studies on how sound can heal and transform. I found out Gregorian chants or classical music can change our brain waves to alpha and theta waves that are very relaxed. NT: Are the metal singing bowls the ones you usually use? Gaynor: I also use quartz crystal bowls. These are made out of the same quartz crystals that microchips are made out of. They can be tuned to any note and they’re incredible. When you play them, it brings out all sorts of tones, overtones and harmonics in your own voice. That can also be very healing. I think it’s very important for us to bring back some of the ancient wisdom. When I started looking into sound and healing I found that every culture on earth has used sound, voice and music as part of their healing rituals. Whether it’s the Sufis and their chants, or the Tibetan Buddhist chants, or the mantras used in yoga or the Gregorian chants sung at Vespers, or prayers from the Jewish Kabbalah….where they believe that every vowel sound is a divine sound… all of these…even the African ritual chants and Native American songs and chants use virtually identical tones and sounds to elicit a deep meditative state. So, it doesn’t require believing in any dogma. These sounds effect us on a physiological, spiritual and emotional level. NT: What other instruments have traditionally worked well in healing? Gaynor: Drumming can also be very effective and there’s a resource section in my book on different forms of music. You really have to find what you resonate to. Whenever you’re stressed you have stress hormones that go up in your body called “cortizol” and ACTH which mediate a lot of the negative effects of stress on your body. For instance, it’ll cause your blood pressure to go up and depress your immune system. It’s been found if people are allowed to listen to any music of their choosing during medical procedures it will markedly lower the amount of stress hormones that are being released. 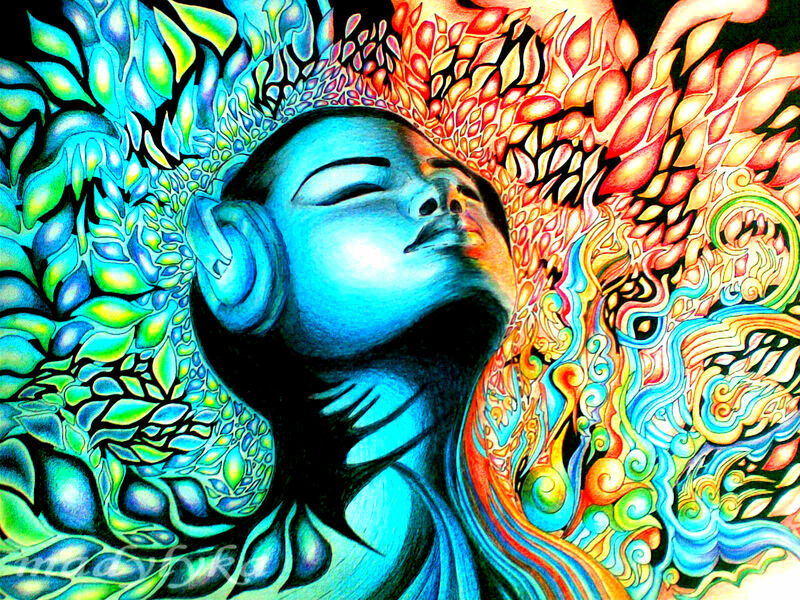 We can look at ourselves as vibration, and so tone and voice and music effects us on every level. It’s important to know you’re exposed to disharmony every day. Cars honking at you in a traffic jam, a jackhammer when you’re walking along the street, or somebody yelling at you. But all these things can be retuned. We need to take time to retune our bodies, like we would a fine instrument. The way to do that is to take 15 or 20 minutes in the morning and another few minutes before you go to sleep at night to focus on your inner harmony. NT: So you’re saying the disruption of harmony leaves us open to disease? Gaynor: Absolutely. In fact, disease is a form of disharmony. I think it’s a little naive of the medical profession to think that you can allow people to go on with stress and depression and pessimism and frustration every day of their lives and not believe that eventually it’s going to manifest in some form. But, if you want harmony in your life, harmony in your body and in your world, you have to find your own inner harmony. 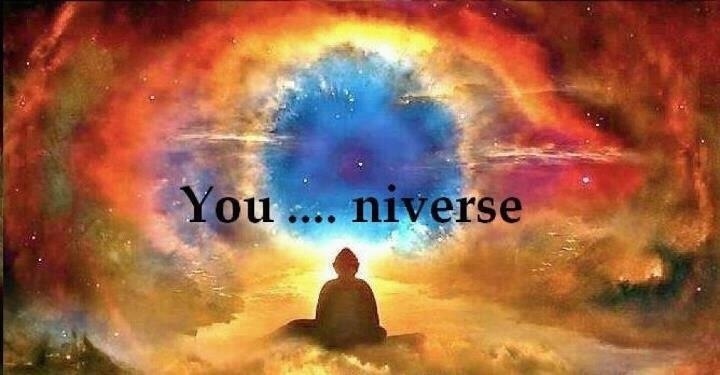 That exists in each of us, and when you learn to access it your whole life begins to miraculously transform. That’s how all of us were meant to live each day of our lives. Dr. Mitchell Gaynor, Director of Medical Oncology and Integrative Medicine at the Strang-Cornell Cancer Prevention Center in New York. Author of “The Healing Power of Sound,” in an interview with Bill Thomson. And as with all else, “take what you like and leave the rest”. Thanks for sharing this Jean, if RT is shut down and declared a “terrorist organization”, the MSM hypocrisy of Western media’s “freedom of expression” would be totally exposed for the world to see. Who in their right mind watches US propaganda news any more?